Much has been said of late about automation in payroll—frankly, because there’s a lot to say. The increasing adoption of robotic process automation, or RPA, in global payroll technology and solutions has given rise to some of the most dramatic changes this industry has seen since the advent of the cloud. From time and cost savings to greater accuracy to improved data protection, the organisational benefits of payroll automation have been discussed in depth. 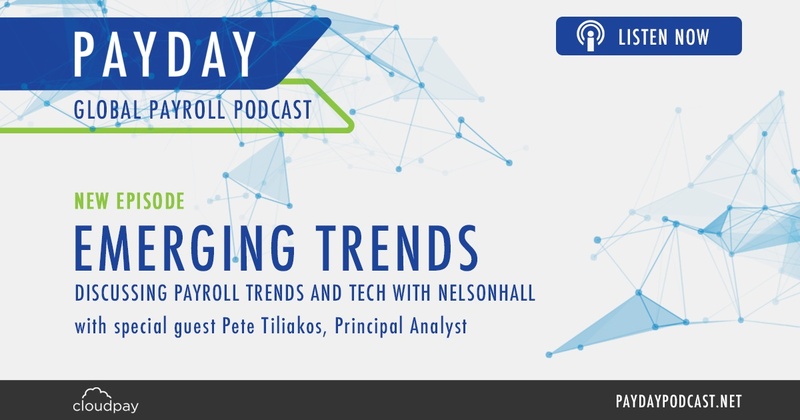 But what does it mean for the payroll professional on a day-to-day basis? How does automation affect your role and responsibilities? Here are five practical ways in which payroll automation technology is changing how payroll teams perform their jobs. Gathering all the data required to process payroll and getting it into the required format is historically one of the most time-intensive parts of the job. Changes could come from multiple departments, in multiple formats, requiring a payroll professional to update the typical Excel spreadsheet multiple times. With an automated system interface, however, data collection becomes an effortless task. Data is input or edited once at its source—whether that is within your payroll system, HRIS, or finance application—and the system updates automatically so that all functions and calculations are using the most up-to-date information. Versions of files become obsolete, and data security is improved by eliminating the need to have files of potentially outdated sensitive data stored on desktops around the world. Compounding the benefits of automatic data collection, integrated systems allow for seamless transfer of information between linked systems. If your organisation’s HRIS is integrated with your global payroll solution, the two systems work from a single database, referred to as a single source of truth, or SSoT. This means that the data used by each system is maintained in one place and accessed by linked functions as needed. In a way, data transfer or movement in the traditional sense is eliminated, because the systems simply access the master data directly. You don’t have to send files to HR or Finance, or wait for them to send information to you. Data doesn’t need to be exported to a different format, uploaded to a different system, or backed up to desktops. Through automated systems, the time you would have spent doing any of those tedious tasks is freed up for other, higher-value payroll activities. One of the most significant changes to the traditional payroll process is automated data validation. You’re probably used to spending hours, if not days, manually checking spreadsheets against each other, verifying that the information to be processed is correct and up to date—and then manually checking that the payroll result is correct. With an automatic data validation process, users set up the payroll system according to their organisation’s unique specifications, including setting tolerances for factors such as salary increases and net costs. The system algorithms then perform the validation checks according to your instructions. To make it even easier, the validation protocol is typically triggered by a simple event, such as by locking payroll. Rather than spending hours looking for errors, your time can be spent correcting errors and working to improve or standardise your processes to prevent similar issues in the future. Similar to using the action of ‘lock payroll’ to trigger a data validation module, automated systems allow for repetitive tasks to be scheduled and completed automatically, freeing up the time you would have spent scheduling or assigning the task and even eliminating a ‘to do’ from your list. Many tasks that previously involved a method of data transfer are now initiated instantly once the preceding activity is complete. For other tasks, the responsible payroll team member can receive a notification when the job is ready to be done. One key example of this is pushing payslips to your HR system once the payroll process is complete. Rather than finishing the payroll, initiating payments, obtaining a PDF copy of every payslip, then sending those PDFs to your HR team or uploading them to a HR programme, advanced payroll systems can automatically populate payslips in your HRIS as soon as they are ready. Many automated HR systems take it a step further by allowing employees to log in and access their payslips directly as needed. Each of these direct benefits result in time saved by the payroll team. Add those savings up, and you could be looking at two days’ worth of time saved per payroll cycle. If your processing window was 12 days, automation could make it 10. This translates into more data per payroll run, with fewer adjustments needed. Because each automated step has ensured that more accurate and complete data is being processed, fewer supplemental runs are required, which nets your payroll team cost savings in addition to time and effort. It’s easy to understand why the idea of automation may seem imposing initially. However, when you look closer at the impact on payroll teams, it’s clear that RPA doesn’t only benefit the company bottom line. Hours of repetitive tasks and effort spent on high-volume, low-value activities can be saved by implementing automated solutions. The result is better functioning payroll teams with the time to focus on addressing errors, improving processes and delivering a better payroll result—initiatives that could dramatically impact the future of payroll in your organisation. A version of this article previously appeared in GPA Live.